Imerovigli is a beautiful settlement in Santorini, wonderfully located at the edge of the island with a panoramic view to the Aegean Sea. Its name is directly related to its privileged location, as it used to be an observatory for the locals of Santorini. From the highest spot of the island, they could see if danger approached and take measures, so as to defend themselves. 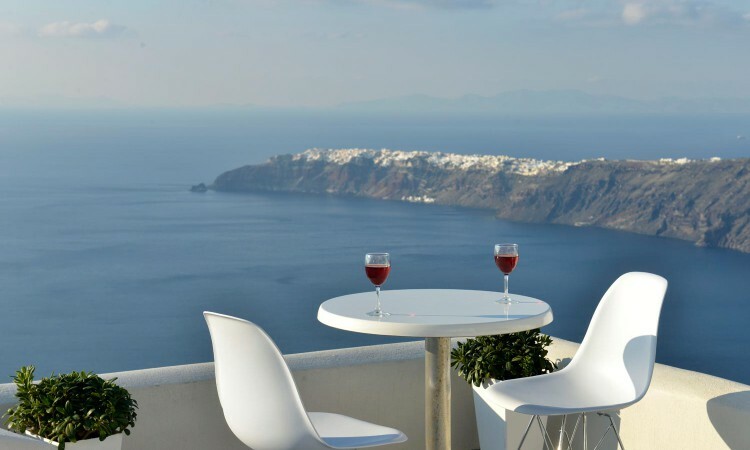 Nowadays, Imerovigli is regarded as the perfect place to enjoy the world-renowned sunset of Santorini. The bright, warm colors of the sunset surround you and provide an exceptional experience to be remembered. 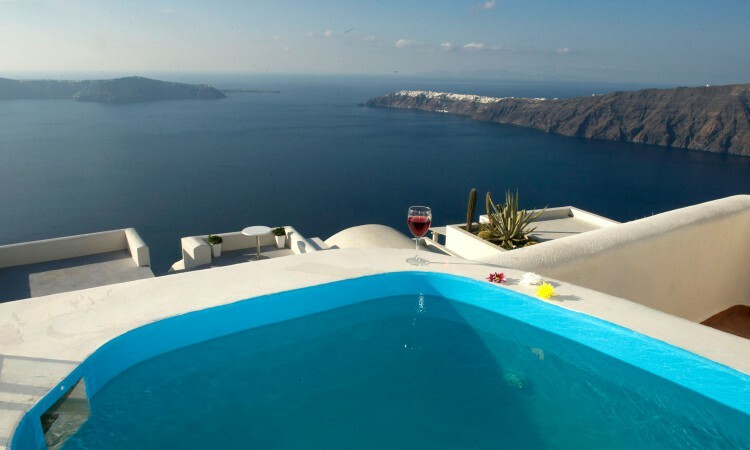 Situated right at the edge of the caldera, Imerovigli is a few minutes away from the capital of Santorini, Fira. Yet, it is not affected by the hustle and bustle of the town, as it preserves its secluded nature and offers a great combination of accessibility to the heart of the island and tranquility. It is located within short driving distance from Oia settlement, Athinios Port, the airport of the island and the famous beach of Perissa. Superb location on a magnificent island! ⇢ Bus stop: 50 m.